Abraham Cann was born in Colebrooke, near Crediton, in 1794, the son of farmer and maltster Robert, and Mary Cann both of Colebrooke, youngest of seven children. Robert, who was reputed to be a rum-runner, smuggled barrels of spirits being transported to him disguised in hay loads, whilst wife Mary took care of the distribution with the contraband hidden in her voluminous skirts. 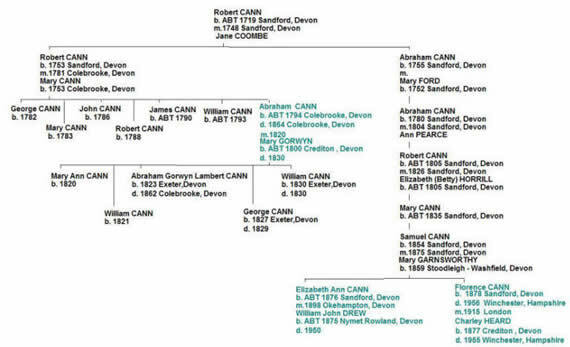 His grandparents Robert, miller or maltster of Upton Hellions and Sandford, and wife Jane Cann née Coombe were 4 x great grandparents of Florence Cann, who married great uncle Charley Heard, and her sister Elizabeth Cann, who married third cousin William Drew. It is said that Abe inherited his love of sport from his father. His brothers Robert, George, William and James shared his enthusiasm and were wrestlers too, James doing particularly well. But Abe became the acknowledged champion not only in Devon but throughout the country. Devonshire and Cornish wrestling are similar in most respects. The Devonshire tradition allowed kicking of the opponent below the knee, with toe or heel, and to reinforce this aspect the Devonshire men would wear a shoe that was often soaked in bullocks' blood and then baked to make it rock hard. (The kicking was a two-sided coin. Skilled wrestlers would use the fleeting instability of the kick to overturn the kicker and gain a fall.) Devonshire men were allowed padding on the shins, but often they wore no more than silk stockings. Both Devon and Cornish dress styles otherwise comprised breeches and a short loose wrestling jacket, which was the only part of the dress by which a hold or 'hitch' could be taken. The hitch was central to the Devonshire style, whilst the Cornish wrestlers used a 'hug', which does not seem to have been a Devon technique. Rings of 15 to 20 feet in diameter were marked out, with a rope and stakes. Three men were appointed as 'sticklers' or 'triers' to decide on fair play and fair falls. For a fair fall three points had to touch the ground - either both hips and one shoulder, or both shoulders and one hip.The contests would begin with "single plays". Challengers would throw their hats in the ring and take on opponents one by one - the objective being to make a 'standard'. Opponents would take up the challenge, and be eliminated after one fall. The challenger would remain in the ring for another opponent and when the second had been similarly beaten a standard was made. If the challenger was beaten, then his victorious opponent would hold the ring until he had made a standard, and so on. When the standards had been made the match would progress to double play - a knockout round when those successful in achieving standards the single play would fight, and then to triple play when the victors in the double play rounds would contest for places in the quadruple play, and so on until the champion had been decided by elimination bouts. The contest seems at times to have gone to quintuple play. Variations on the rules could be agreed in advance at matches, and the duration would of course be determined by how many standards were to be made. But it was common for the contest to last two days, sometimes three, starting in the mornings and continuing well into the evening. Individual bouts might be characterised by lengthy manoeuvrings to gain a hold and then tip the opponent, or by a flurry of activity resulting in a throw. 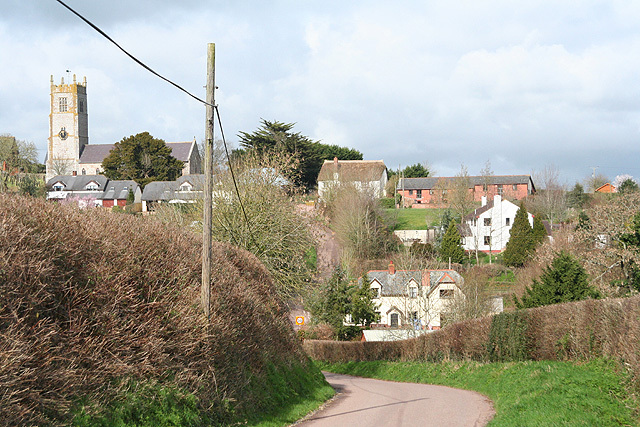 Something in the air, the soil and the culture of Crediton and its surrounding parishes seems to have been ideal for the generation of Devonshire wrestlers. In 1710 one John Helyer had acquired sufficient standing as a wrestler to be so described in the register by the clergyman who buried him in Crediton parish church. 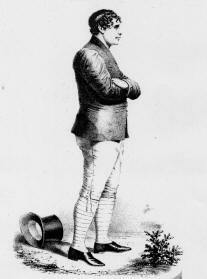 After him came "Blind Wreford" (1747-1835) who rode to hounds and also acquired a reputation in the ring. He was followed by John Bolt (1795-1875) of Cheriton Bishop who did well at Leeds in 1825. Bolt was Abe's second at Plymouth when he fought against Polkinhorn. Of the same generation were William Luxton, George Avery, and William Vicary, Crediton, Elias Mills, Sandford and William Lamacraft of Tedburn St Mary. Then James Stone, friend an contemporary of Abe Cann, and and as well as the Champion himself, his brothers, particularly James and William. And in the 1840s William Parrott, Cheriton Bishop, and Chapple, Matthews,Brooks and Jackman of Crediton. Theirs seem to have been almost the last generation of Devonshire wrestling.By the second half of the eighteenth century it had all but died out. Abe was 5 ft 8½ inches tall and weighed 176lbs. He had curly black hair, and was described as "very rapid of movement". He had immense strength and stamina. He would toss around 56lb weights for the sheer fun of it, and followed hunts on foot, running and jumping across country. On one occasion about to set off from the Bull Inn in Exeter for a London competition, legend has it that he discovered there was no room for him in the coach. Unperturbed he resolved to make the journey on foot, which he did, running and walking the whole distance to reach his goal on time, and collecting a side bet for this achievement. He supposedly said the exercise had contributed to his subsequent success in the ring. It is not clear when he began wrestling, but reports of his and brother James' bouts start to appear in the press from 1812 onwards. In 1820 Abe married Mary Gorwyn, in Crediton, "connected with a most respectable family" and lived at Kiddicott Farm, Clannaborough. By the time of his marriage he was nationally renowned as a wrestler. The marriage was not blessed with good luck - the first two children Mary Ann and William dying in infancy. Their third child Abraham Gorwyn Lambert Cann, named for his mother's family survived to adulthood. 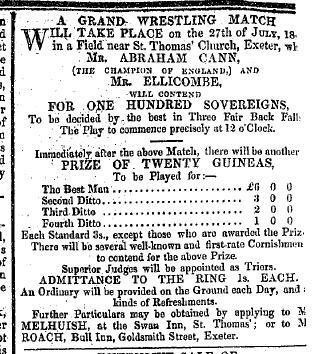 In 1824 Abe became landlord of the Moreton Inn, on Exeter's Cowick Street, itself a venue for wrestling. 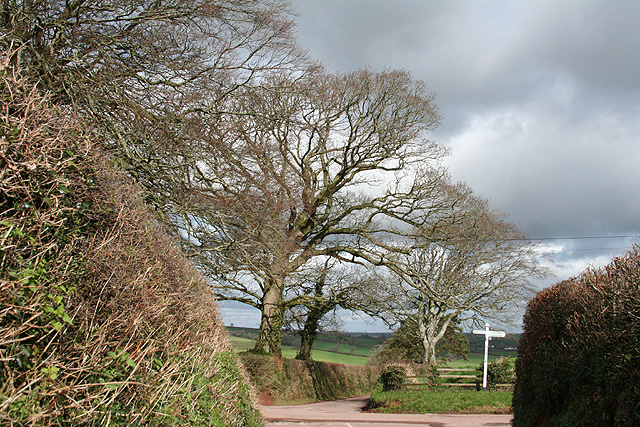 The sport was very popular in Exeter, with venues outside the city walls in St Thomas and St Sidwell. By 1825 he was widely accepted as the Champion of England, remaining undefeated in the contests that he entered. 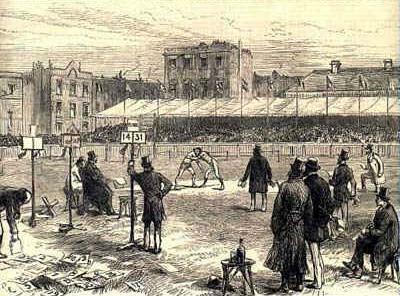 In 1825- 29 Abe took part in a number of widely reported matches in Leeds, London and throughout Devon. This included a grand victory at Ashburton, over Thorn, a former Life Guard, and hero of Waterloo, who was reputed to have cut down 10 of the enemy. Abe threw him in less than 3 minutes. Abe's victories in this his heyday gained maximum publicity, helped by his high profile rivalry with James Polkinhorne of Cornwall. Abe was usually accompanied on his trips by fellow wrestler and good friend from Crediton, James Stone, nicknamed "The Little Elephant", and often by his brother James Cann. In his history of Crediton, Venn (Venn, T.W., History of Crediton. Typescript. 1972) tells us that the activities of the Devonshire wrestlers in London were reported enthusiastically in the Society gossip columns. 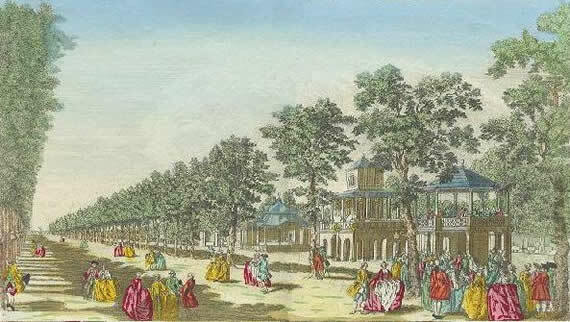 Dressed in the latest fashions they would promenade in the famous Vauxhall pleasure gardens, where much curiousity was shown to catch a sight of "these extraordinary Devonshire wrestlers". Along with the bare-knuckle fighters, the wrestlers must have had the popular appeal of football stars of old, if not quite the overblown celebrity status accorded them in today's tabloids. Certainly local papers reported their comings and goings, and we read of a triumphant return to Devon on the express coach Celerity in 1827, when the wrestlers were greeted by cheering crowds in Exeter. Unbeaten and admired for his sportsmanship and his technique, Abe gave his name to a particular grip which according to an account of a wrestling match in R.D.Blackmore's Clara Vaughan, was known as "Abraham Cann's staylace". In 1828-9 Abe took over the Woolpack Inn in Bartholomew Yard, Exeter and renamed it the Champion's Arms. But this marked the beginning of his decline, both personal and professional. His 2 year-old son George died in 1829, and was buried in Colebrooke. Another son, William was born the same year, but the child died aged 3 months and was also buried in Colebrooke. Then in September of 1830, at 30 years of age, his wife Mary died. These family tragedies seem to have laid Abe low in a way that his wrestling opponents never could. He gave up the Champion's Arms, by some accounts took to drink, drifting around. In 1831 the local press were describing him as "reduced to poverty by illness and family affliction". His well-wishers secured a job for him as a toll keeper on the Stonehouse Bridge. But Abraham continued to wrestle occasionally through the 1830s, and remained unbeaten. At some point he seems to have moved back to his brother's farm at East Coombehead, Colebrooke, where he helped on the farm. In April 1841 his backers issued a challenge to "any man in Devonshire, without exception as to weight or inches" to a fight in the vicinity of Exeter, for a prize of at least 20 sovereigns. A Mr Ellicombe of Kingston took up the challenge and the fight was scheduled for 8 June. The prize money rose to 50 sovereigns. Then in May, Abe suffered an injury whilst wrestling a Sam Haydon at Hittisleigh Revel, and the challenge was postponed. It was finally scheduled to be held in a specially constructed ring near St Thomas Church, Exeter on 27th July, the prize having risen to 100 sovereigns. Cann was 47. His opponent, a young man of 24. More or less matched in height, the challenger was more than 30lbs heavier than Cann. The younger man demonstrated both strength and technical skill; he would have thrown any man but Cann, and proved to be more than a match for the champion. After 48 minutes of struggle, without a fall, Cann, who had been showing signs of strain, put his hand to his shoulder, evidently in pain. Two surgeons immediately attended and announced that Abraham's collar bone had "gone" - an old injury exacerbated at Hittisleigh two months earlier. And so at 2.30 pm on 27th July 1841 Abraham Cann, Champion of England, retired from the ring, assuring his opponent that he had been "as good or as fair a man as he had ever played with. " During the 1850s his reputation as a sportsman and a champion meant that he was often asked to make celebrity appearances. He also seems to have been regularly called on to assist as Trier, or Stickler, sometimes in the company of old rival James Polkinhorne.In 1860 the local press announced that Abe had been compelled to accept parochial relief. He was described as being in distressed circumstances and ill health. Mr Langdon, of the Bull Inn, Exeter, began a subscription for him, and was soon able to report that Abe's admirers throughout the country had not forgotten the old champion. Amongst the many London subscribers was Lord Palmerston, who directed that £10 be given out of the Royal Bounty Fund, and the NCOs of the 1st and 2nd Life Guards. By October 1860 £200 had been collected, enough to give Abe with an annuity of £21.10s -to be paid quarterly - enough to support him in his declining years. But poor Abe was to suffer further at the hands of Fate during his retirement. He continued to live with his brother in Colebrooke: his son Abraham, a carpenter, lived with them. Abe a widower, and his brother and son unmarried, relied on 70 year-old Susanna Hill to keep house for them. In 1862 Abraham and his son had been celebrating the New Year at the Bell Inn, Colebrooke. When they arrived home Abraham senior retired to bed, but his son, "tipsy", settled into the armchair for a pipe. He must have fallen asleep, for the worst happened, and a short time later he ran upstairs with his trousers and shirt on fire. He was terribly burned, and was taken to hospital, where he lingered in great pain until his death, more than two months later on March 6th. Not long after this Abe suffered an accident when the horse of the cart he was driving, with the tombstone for his son, shied, and he was thrown beneath the wheels, hurting him badly. He was not to endure much longer. 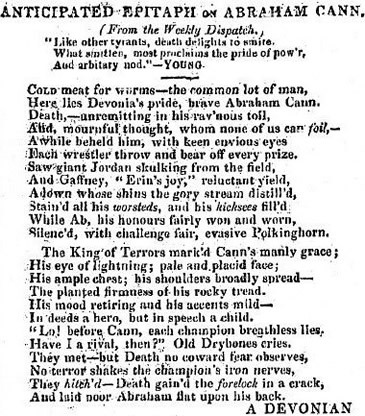 In 1864 the local papers announced the death, on April 7, at Colebrooke, near Crediton, of Mr Abraham Cann (champion wrestler), in his 70th year. Abraham died of "dropsy - 4 months" - an accumulation of water in the soft tissue, often associated with heart or kidney failure. Memorial stone of Abraham, his wife Mary and son Abraham. The original stone, paid for by public subscription, suffered the ravages of time and by 1877 was lying broken in three pieces. In 1880 it was replaced, through the generosity of a Mr James Wreford, with the current stone, standing by the west door of Colebrooke Parish Church. 1827 Abe’s busiest year, fighting in Devon and London. 1830 Abe’s son William and wife Mary die. Wrestling was a most popular sport in the 18th and 19th centuries, practised both in town and country. It was a common feature of country fairs, and in many towns and cities there were one or two pubs that regularly held competitions like the Salutation at Topsham or the White Hart at Okehampton. In Exeter, two popular venues were the Moreton Inn in St. Thomas and the Duke of York in St. Sidwell's district, both outside the city boundaries. 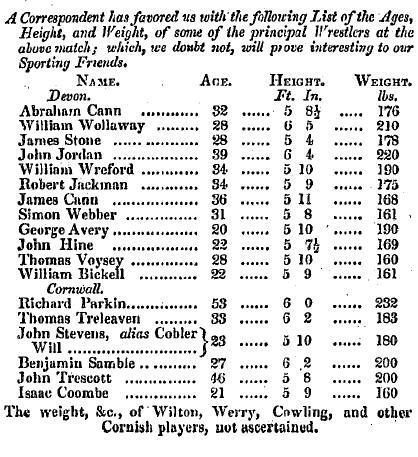 Matches achieved great publicity in the press, and Abe Cann's Needle Match was said to have attracted 10,000 spectators and taken £700 at the gate, at Tamar Green, Devonport. There were several regional variations of the sport - the Westmoreland, Cumberland and Cornish traditions surviving to the present. But in the eighteenth century there were also Lancastrian, Norfolk and Devonshire versions. London pubs would advertise matches of Devonshire and Cornish Wrestling often lasting 3 to 5 days. The famous Eagle Tavern in London's City Road was one popular venue. Latterly the enthusiasm for the sport owed much to the large sums of money that were gambled on the outcome, but followers had always taken great interest in the prowess and technique of individual wrestlers. Abraham Cann of Colebrooke was revered as a champion of the Devonshire tradition, and won bouts not only in Devon but in London, Leeds and the Westcountry, and was given the title Champion of England. 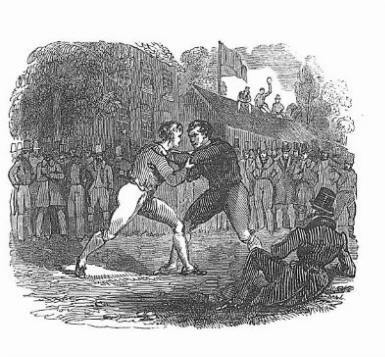 There was considerable rivalry between the Cornish and Devonshire wrestlers, over their different styles, and the prowess of their native champions. 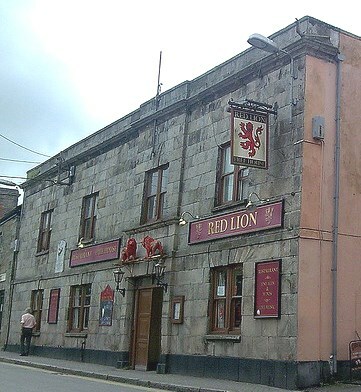 This came to the fore in the public rivalry between Abe Cann and James Polkinhorn, publican of the Red Lion, St Columb Major, Cornwall, where to this day a plaque commemorates his fight with Abraham in 1826. In 1825 the pair engaged in a war of words in the press over the championship of the two counties, with challenge, counter-challenge, conditions and counter-conditions. There was no love lost between the two men apparently. The Devonshire supporters believed that Polkinhorn had no stomach for the fight, whilst the Cornish took the view that Cann was imposing unfair conditions. The two men finally fought on Tamar Green, Morice Town, Plymouth, on 23rd October 1826, in front of 17000 spectators. Cann wore one shoe only. Unfortunately the outcome of the contest was inconclusive. 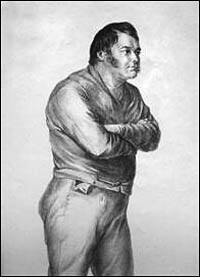 Polkinhorn supposedly believed he had won two falls, and thus the match, so he left the field. The second fall had been disallowed, and it may be that Polkinhorn had been urged to leave by his supporters. Cann remained to continue the fight but Polkinhorn could not be persuaded to return to the ring - thus he forfeited the fight, and the prize money was awarded to Cann. The controversy raged for years, and to this day you will find both men accorded victory on the internet. There were many unsuccessful attempts to stage a rematch. Both men appeared at a match in Tavistock in the following May, but Polkinhorn rejected the challenge to take to the ring. The war of words continued through letters to the press, but Polkinhorn and Cann only ever appeared together again when they both acted as Triers after their retirement. There can be no doubt that Abe's popularity had a lot to do with his pre-eminence in the sport, but also owed much to his personality and demeanour. It was clear that throughout his career Abe had consistently rejected the many bribes offered him to throw a match. These contemporary newspaper descriptions show us the kind of man he was.
" a man who was never beaten in his life, who never sold his back, who never disgraced his county by foul play or vicious habits"
" the countenance of Cann was unaltered as he viewed his antagonist: it was marked by the same mild and placid look which we have at all times noticed in him." "there was nothing of ostentation or bullying swagger, but a quiet, almost amounting to meek, demeanour. He is well and strongly grown, but weighs only 12s 6lb and stands around 5ft 8ins, but his muscular powers are of the first description." " He modestly looked around the ring, his hair dropping carelessly on his manly forehead, and at that moment never could there be a finer subject for the painter." "He is an uncommonly well made fellow, muscular in all his limbs, with a pair of Herculean shoulders - extremely modest in his demeanour, and his style of wrestling the most manly we have ever witnessed." "There was nothing of bounce in his manner, and his serious aspect proved that he was solely intent on maintaining his high character"
The decline of Devonshire wrestling seems to have been brought about by several factors, including the very nature of the sport itself. At its height in 1820-1827 or '28, its popularity had begun to fall off by 1830. In the first place the notion of allowing all-comers to try for a standard often meant the first day's competition would comprise many unskilled amateurs engaged in unentertaining bouts. The permitting of kicking, and the padding of legs to counter it, meant much time was taken up in preparing for a Devonshire match. One writer described how up to 40 standards could be made in a Cornish match in one day, whilst the Devonshire style was much more slow moving - achieving half that number. The kicking itself was unpopular with many - described as "barbarous" even then. The brutal nature of the kicking allowed perhaps unfair comparison with bare knuckle prize-fighting, which was outlawed in 1861. Cornish wrestling was play along side that. A medical study of Exeter by Shapter in the 1830s found that the kicking caused ulcerated legs in later life. Press reports described blood streaming down shins. The growing distaste for this caused some to stay away. Matches had all the potential for finding ways to gain unfair advantages. Partisan Triers or Sticklers arranged the matches such that the making of standards was unfair. Some wrestlers threw the match for a share of the prize money. Match promoters stressed the fairness of their arrangements, implying other circumstances elsewhere. It must be said that Abe Cann was regarded as honest and was never accused of corrupt practice. Indeed the comment was made that others grew rich on his skill, whilst he remained poor. His pre-eminence in the sport was itself a factor in the decline, as he could not be beaten. This may have contributed to a lack of younger men coming forward to compete, and by the late thirties there was a widely held view that the quality of the wrestling had greatly deteriorated. The gradual decline hit attendance. Matches that had attracted 6,000-7,000 in the sport's hey-day could barely attract 1000 by 1835. And the great durations of fairs and matches - 3-5 days - were simply too long. This was too long away from work. By the mid 1860s the loss of interest of spectators, and the corrupt nature of some participants meant the sport was all but finished. 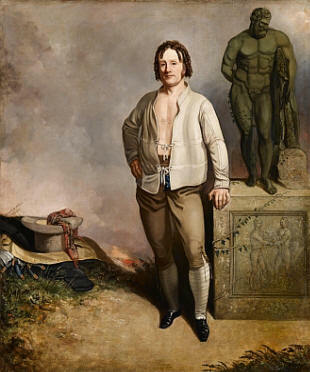 If you are able to track it down, Wrestler by the Cut Purse Rascals is a fine song inspired by Abraham Cann and his exploits. I am grateful to the Royal Albert Memorial Museum of Exeter for their permission to use the Caunter portrait of Abe on this page. I am also indebted to Colebrooke OPC Neville Enderson who is himself descended from "The Little Elephant" wrestler James Stone. Neville clarified my family connection with Abe, and provided me with some of the facts that appear on this page. Thanks also to Peter Selley for the correction about the memorial stone.